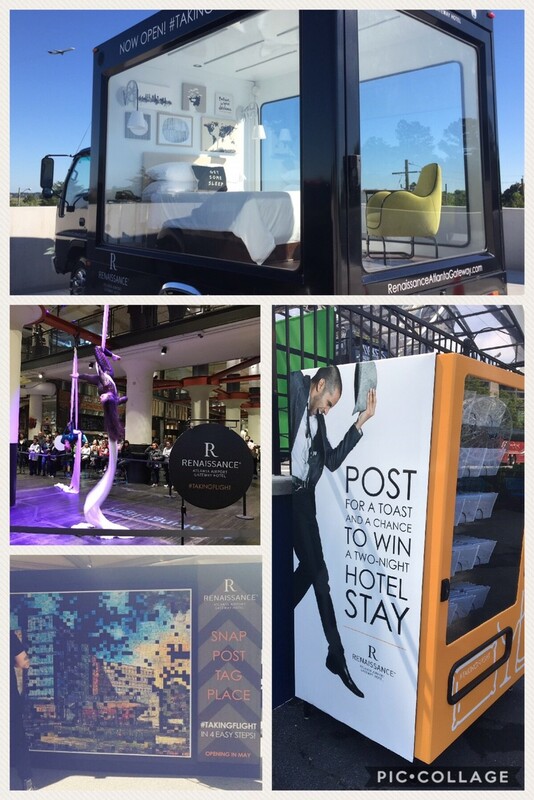 360 Media first took flight with Renaissance Atlanta Airport Gateway Hotel helping to launch a new kind of hotel filled with local discoveries, personality and artistry. We created attention grabbing activations including a #takingflight aerial artist event at Ponce City Market, an interactive guest-created rendering of the hotel, custom social vending machines asking guests to “Post for a Toast”, a mobile guest bedroom travelling all around the city and a digital ribbon cutting with gifting suites throughout the brand new hotel. In successfully producing these activations, we are thrilled to announce we have been selected as a 2017 Phoenix Awards finalist! The awards are designed by PRSA Georgia to recognize projects and programs that demonstrate excellence in the public relations profession. Fingers (and toes!) crossed for 360 Media, ours sure will be!